Maples trees are large, have colorful leaves in the fall and the sap from many varieties is cooked down to make maple syrup, but there is much more to know about these trees. Maple trees come in many varieties, including some with purple leaves. When you see a maple tree with purple leaves, it is probably a Japanese maple. 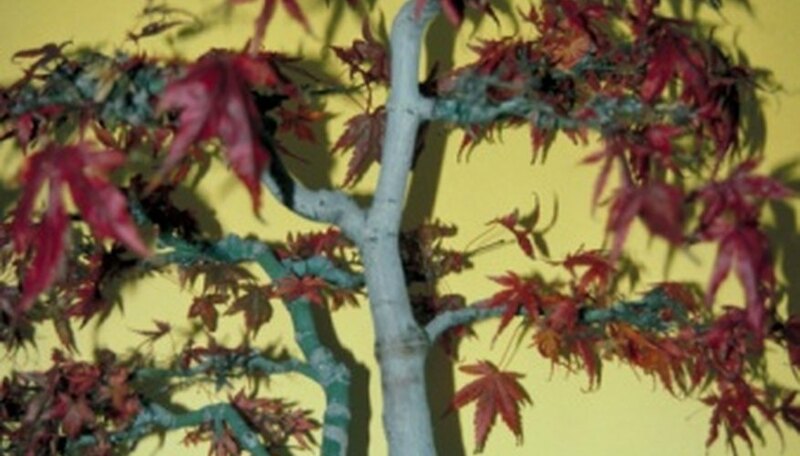 One variety of Japanese maple is artropurpureum. Other varieties include burgundy lace, ever red, moonfire, nigrum, red filigree lace and sherwood flame. The shades of these maple tree leaves will vary a little in the shade of purple, sometimes dark almost black and sometimes a little more on the red side. The varieties of maple trees that grow purple leaves vary quite a bit in size. These trees range in height anywhere from 6 to 15 feet tall. The lace filigree tends to be the shortest while the artropurpureum tends to be the largest. The crowns of the trees normally mirror the size of their root base. The larger the crown, the larger the roots. This makes it necessary for you to plant them well away from building or anything else that the roots might damage, such as underground water lines. Maple trees grow well in many zones in the United States. Zones 5 through 8 are all compatible for growing many of the types of Japanese maples. Before buying and planting one in your yard, however, you may want to check with your local garden shop. People at the shop may be able to give you advice on which ones grow best in your particular area. Even areas within the same zone can have a little different climate than other areas. When planting these types of maple trees make sure to allow plenty of room. Watch out for electrical wires or other obstacles. You also want to leave plenty of room for the crown of the maples to grow outward. Dig a hole that is twice as large as the root ball of the tree. When burying the root ball, make sure the soil is even with the top of the soil that was in the pot. Water trees well for at least the first year, which gives them a better chance at taking root. You may also want to tie the tree down using rope and wooden stakes to give it extra support during storms or high winds. Plant the trees in an area where they will get plenty of sun as most varieties need at least six to eight hours per day. How Much Water Does a Maple Tree Need?